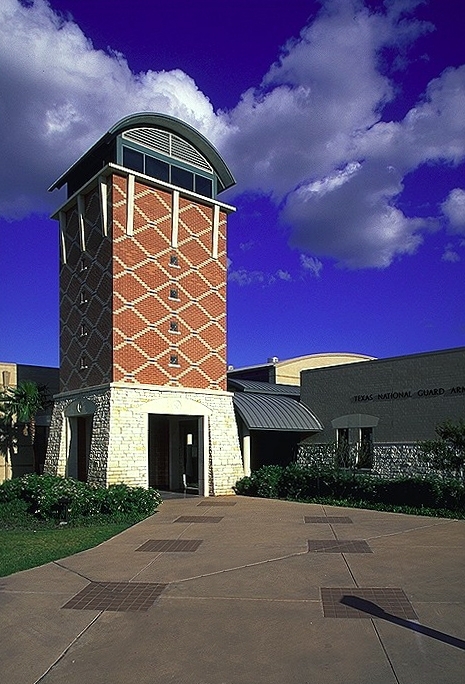 Texas National Guard Armory | ROFA Architects, Inc.
includes administrative areas, recruiting, classrooms, unit storage, rifle range and vehicle maintenance bays. The Organizational Maintenance Shop includes four bays for military vehicle up to the size of the M-1 tank. The facility provides service, parts, tools and support facilities for this armory as well as other South Texas armories.